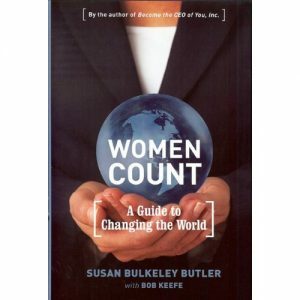 Women Count popped through my post box in the gap between Christmas and New Year, having been sent to me by the publisher. I have to admit I inwardly groaned a bit as I’m snowed under with books at the moment, and, as I do actually read (or at the very least skim) all the books I get sent it can be quite time consuming! However, I only feature here the books that I think you’ll find helpful; there are many that don’t make it. So you can assume from that I was rewarded by reading this book. It’s an easy read for this subject which can get a bit bogged down and ‘worthy’, if you know what I mean! While this qualifies as a ‘worthy’ book it’s also an easy read written in a straightforward and accessible style. Section Two: The Pioneers, possibly my favourite section listing all the unsung heroes of women’s progress. Women like Deborah Sampson who dressed as a man to get into the US Army! And was denied a pension when she was ‘unfrocked’. Or Grace Hopper who joined the Navy and got to the rank of Rear Admiral and then invented COBOL, a complex computer language, and many more. Section Three: Change is Happening. In this section Susan looks at areas where change is happening; education, organisations, communities, and in giving. It’s very obvious in this section that this is a book about America but it’ s no less interesting for that. Section Four: Now It’s Your Turn. And finally the reader is encouraged to do her own thing! It begins with some more real life examples of women who have followed through on their dreams and then has some sound advice for making your own dreams a reality. Just like Susan (Neely, CEO of the American Beverage Association) and just like so many other female pioneers who broke the barriers of sexism to become astronauts, politicians, Supreme Court Judges, and so much more, we must all have the courage to be a “different type of leader”, so we don’t” perpetuate the same foolish system” that is at least partly to blame for many of the problems we have in the world today. We need to do this not just for women’s sake, but for society’s sake. More women in leadership roles means new ways of approaching old problems, whether it’s how we deal with climate change or international relations or the responsibilities of business and government.